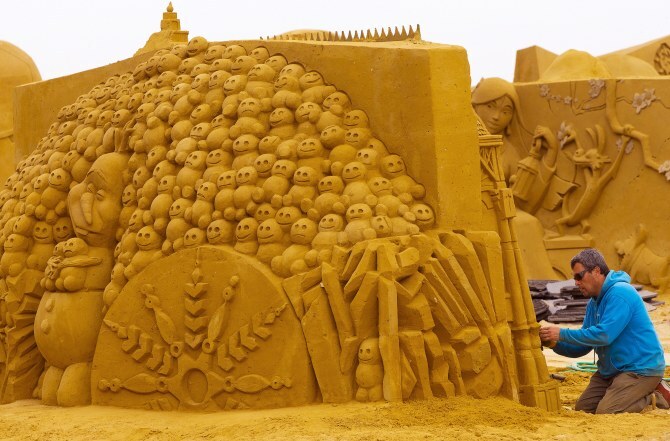 Rediff.com » News » Yes, these are sand sculptures; YES, they are amazing! 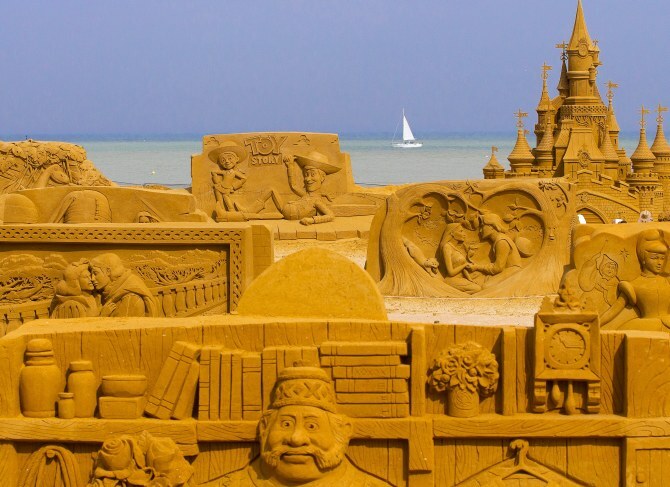 Yes, these are sand sculptures; YES, they are amazing! 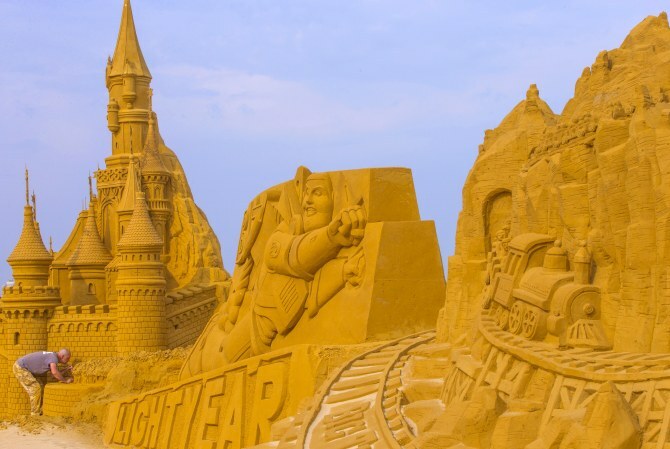 A team of 30 carvers from around the world spent four weeks building 150 giant sculptures based on Marvel, Star Wars, Disney and Pixar movies in Ostend, Belgium. Six thousand tonnes of sand brought by 200 trucks were needed to make the sculptures which will be on show between June 13 to September 6. 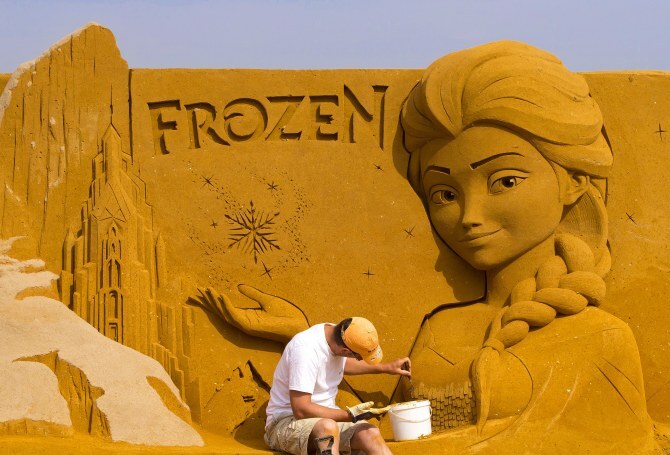 A carver works on his sculpture depicting the movie Frozen during the Sand Sculpture Festival ‘Frozen Summer Fun’ in Ostend, Belgium. 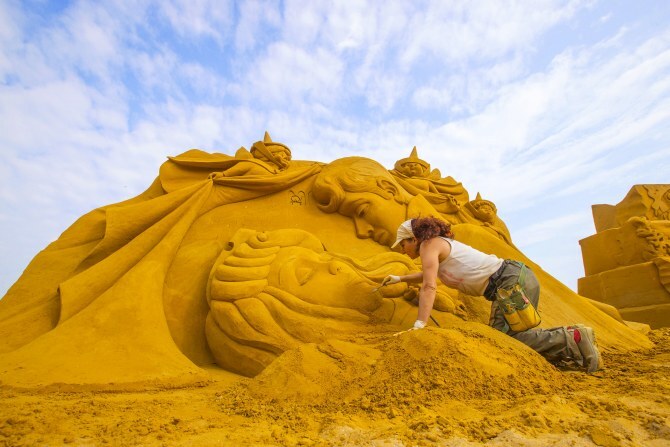 Sand carver Laura Scavuzzo from Sicilia works on a sculpture during the festival in Ostend, Belgium. 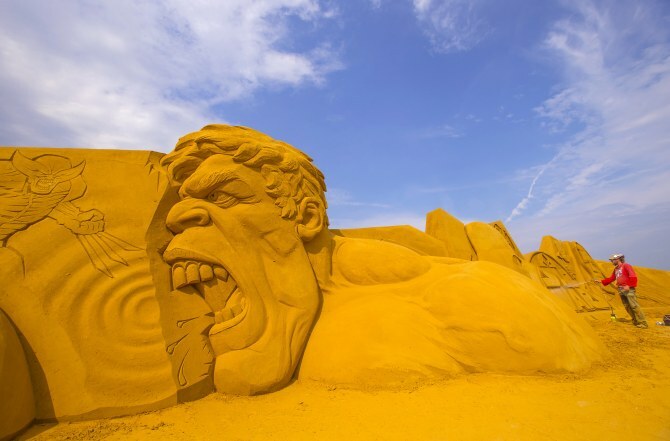 Sand carver Oleg Vorobyev works on a sculpture during the festival in Ostend, Belgium. 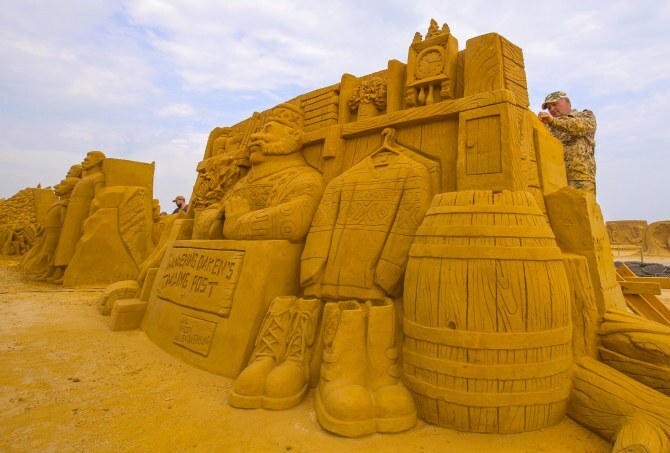 Sand carver Andrea Gaspari from Italy works on a sculpture during the festival in Ostend, Belgium. 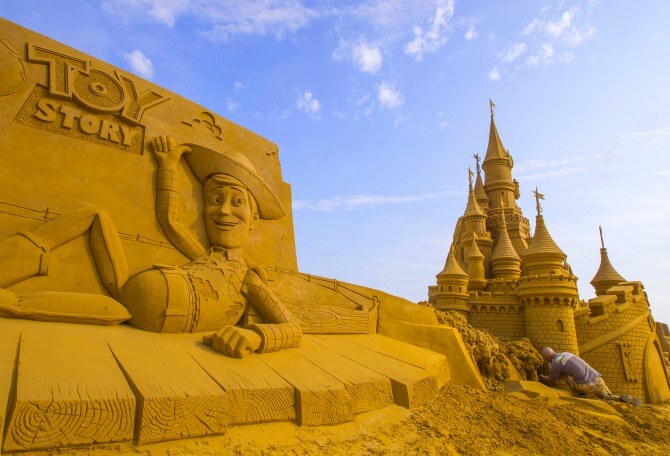 With just some sand and water, artists from around the world create a fantasy world full of emotions and adventures. 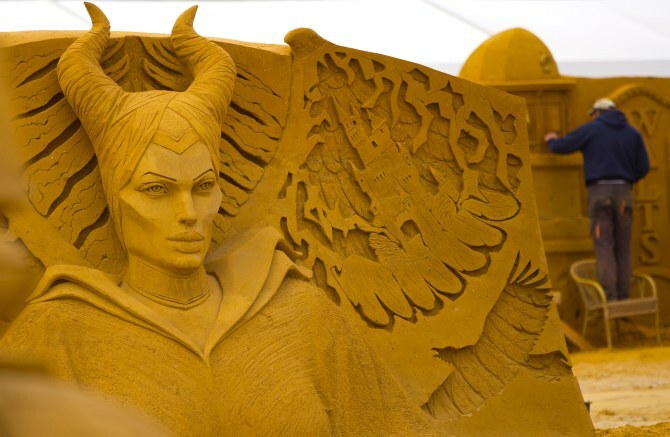 A sand carver works on a sculpture depicting the movie Maleficent during the festival in Ostend, Belgium. The festival offers a whole new dimension to an event which in recent years has become the most important summer attraction on the Belgian coast. 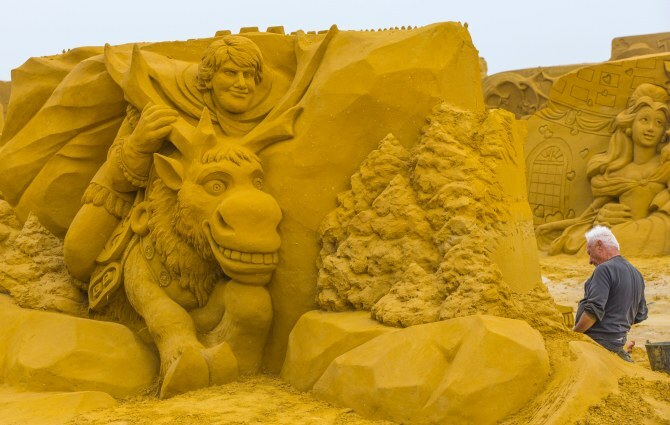 Never before has the enchanting world of Frozen has been reproduced in the medium of sand on this size -- for more than 10,000 square meters of it! 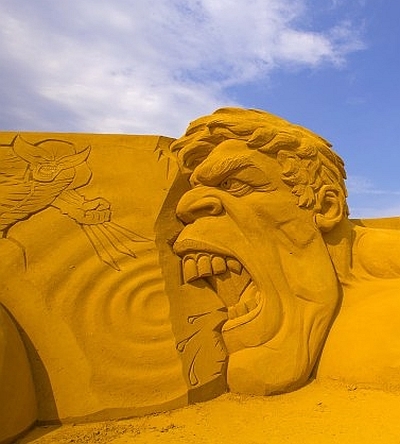 A sand carver works on a sculpture during the festival in Ostend, Belgium.